Educational videos for primary and secondary grades. Here is collection of Science, Mathematics, and Language Arts Ideas with some Music and Arts and Crafts that can happen anywhere that learning occurs! 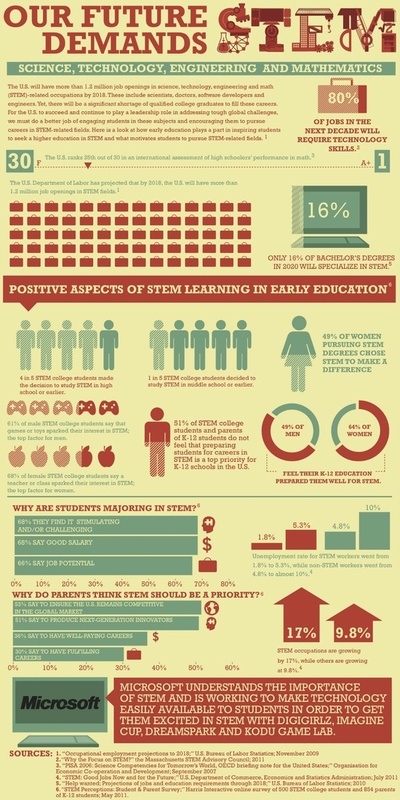 Learn how a Soap Box can help regarding STEM. The MƒA Math Trails series provides teachers with planned routes that highlight the mathematics found in and around New York City landmarks. Scitable is a free science library and personal learning tool brought to you by Nature Publishing Group, the world's leading publisher of science. Scitable currently concentrates on genetics and cell biology, which include the topics of evolution, gene expression, and the rich complexity of cellular processes shared by living organisms. Scitable also offers resources for the budding scientist, with advice about effective science communication and career paths. A forum to encourage and amplify technology-based moonshot thinking and teamwork. NSDL provides access to audio, video, and other multimedia resources for science and math education through Apple's iTunes Store. There is no cost to use or download materials from NSDL on iTunes U.
Browse by grade level, subject area or resource type. S.T.E.M. Magazine exists to provide clarity on the subject of incorporating science, technology, engineering and mathematics into every class curriculum. In addition, S.T.E.M. Magazine strives to encourage educators about the urgent need for this inclusion in light of their responsibility to equip students fully for their careers. STEMdaily® aggregates and curates news stories in STEM Education for all professionals interested in staying up-to-date on the latest developments in STEM. These news stories will cover topics in Education (from K-20+), Diversity and Women in STEM, Corporations and the Career Pipeline, Competitions and Conferences, Scholarships and Grants, Government, Non-Profits, Trade and Professional Associations, States, Innovation, Foundations, Testing and Assessments, STEM Policy, and much more. Change the Equation works at the intersection of business and education to ensure that all students are STEM literate by collaborating with schools, communities, and states to adopt and implement excellent STEM policies and programs.